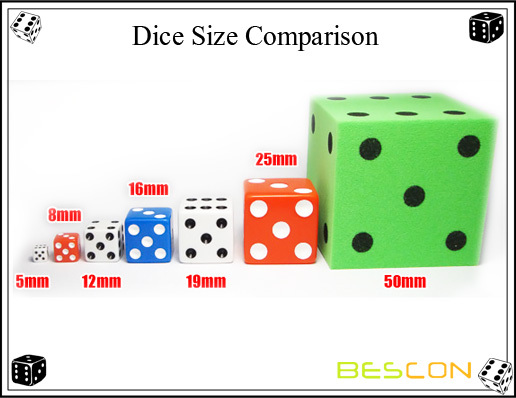 18MM(0.7") dice is chunkier and a bit heavier than their 16mm siblings, it make excellent, easy-to-read game dice, particularly for tabletop games requiring 1 to 3 dice. We have both straight and round style for choice. 18MM dice is a little smaller than standard casino size 19MM.